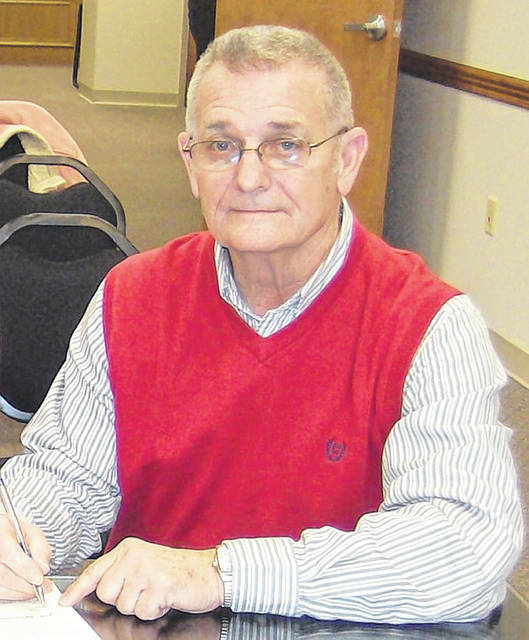 The community will have an opportunity to celebrate the career and public service of longtime Fayette County Commissioner Jack DeWeese as he is retiring at the end of the month. On Friday, Dec. 21 from 2 to 5 p.m. at the Commission on Aging — 1179 S. Elm Street in Washington Court House — the community is invited to congratulate DeWeese on his retirement. DeWeese’s commissioner seat will be filled by James Garland, a Republican, who will take over on Jan. 1, 2019. According to biographical information released as part of his serving as the 2018 Christmas Parade co-grand marshal, DeWeese, 77, was born in Milledgeville and has lived in Fayette County his entire life. A 1959 graduate of Jeffersonville High School, he was named to its Hall of Fame in 2003. He’s a retired Ohio Department of Transportation employee, and he held the position of Union Township Trustee for 19 years. DeWeese has served as county commissioner for 18 years. He and his wife of 56 years, Carolyn, have two children and two granddaughters. They are members of the Sugar Creek Baptist Church, and they own a small farm. DeWeese is a longtime Republican and a 50-plus year member of the Masonic Lodge, the Order of the Scottish rite and Shrine. He is a member of the Good Hope Lions — where he served as a director —, a member of the Fayette County Farm Bureau, the Concord Council of the Fayette County Farm Bureau, Fayette County Fish and Game, and a lifetime member of the Fayette County Historical Society. During his terms as a trustee and county commissioner he has served on the Ohio Valley Regional Development Commission, most recently as chairman of the executive committee; the Fayette County Travel and Tourism Board; the Fayette County Health Department Advisory Board; board vice chairman of the South Central Ohio Juvenile Detention Center near Chillicothe; the Area Solid Waste Committee of which he serves as chairman; member of CAC and CIC boards; and 15 years as a member of District 15 Ohio Public Works Commission. DeWeese said he’s considered it a privilege to serve the residents, his neighbors and friends of his township and county for so many years. Stay with the Record-Herald for more coverage of the retirement of long-time Fayette County Commissioner Jack DeWeese in the coming weeks. The information in this article was provided by the Fayette County Chamber of Commerce.